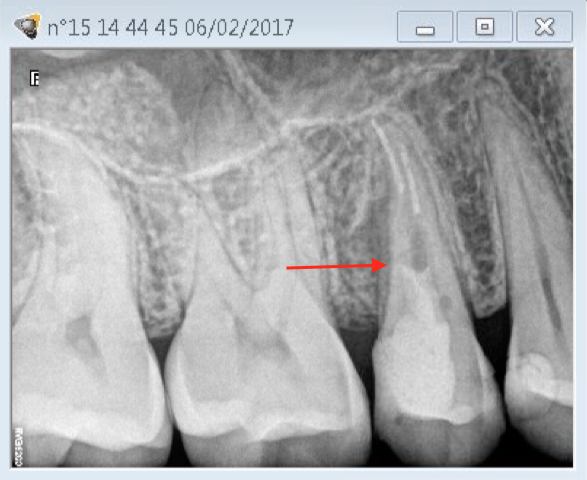 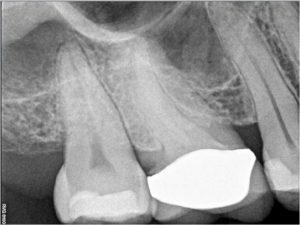 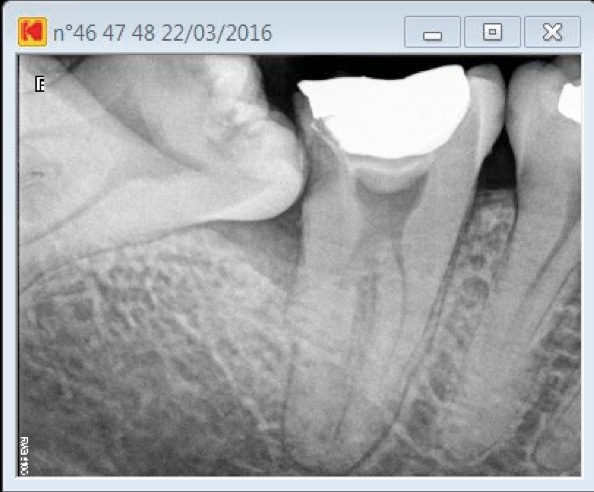 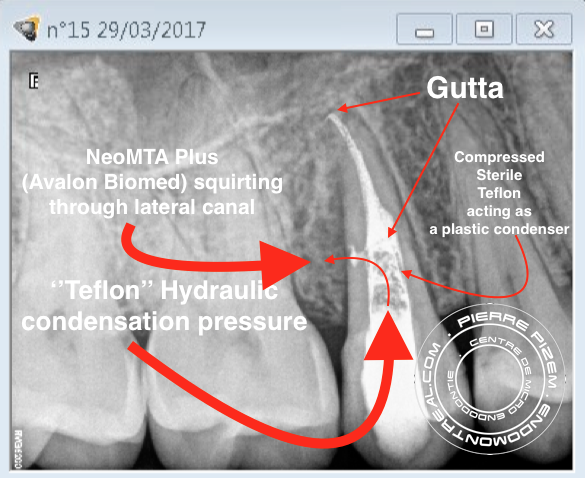 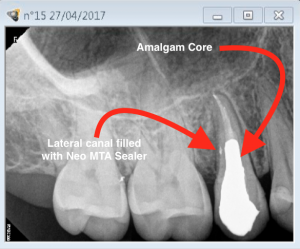 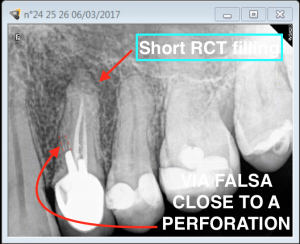 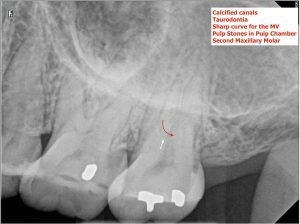 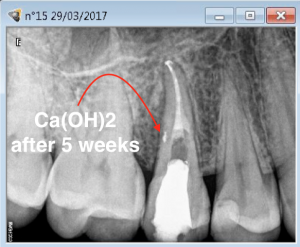 A four years follow up on a RCT on a maxillary first molar presenting with an apical delta in palatal canal (Vertucci’s type 5 . 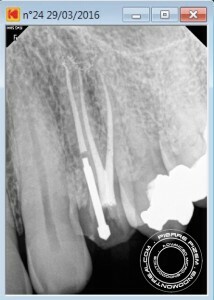 Each branch of the delta has been cleaned and shaped with stainless steel Mani K files up to size 35. Each branch has been filled with a single gutta cone and Pulp Canal Sealer from Kerr. 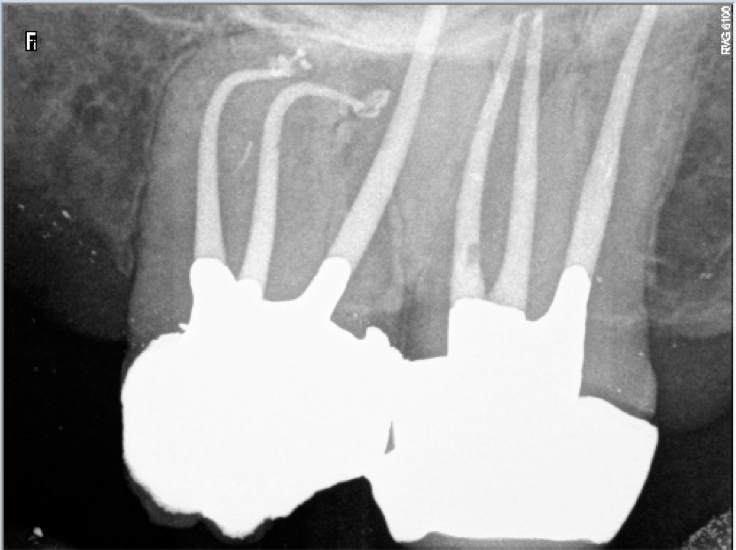 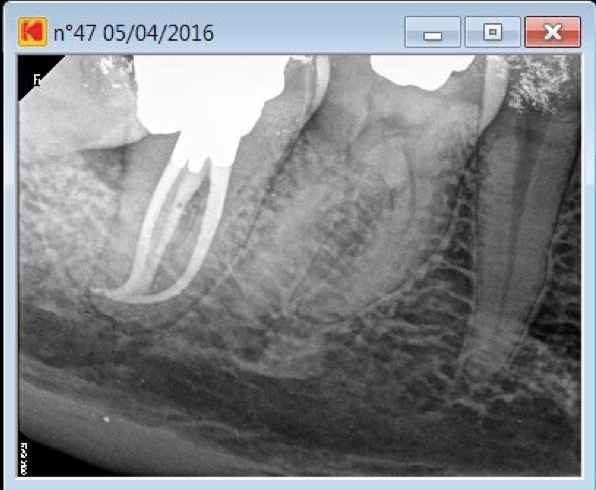 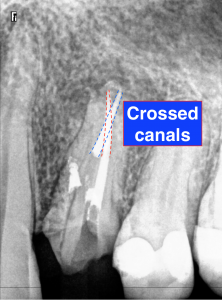 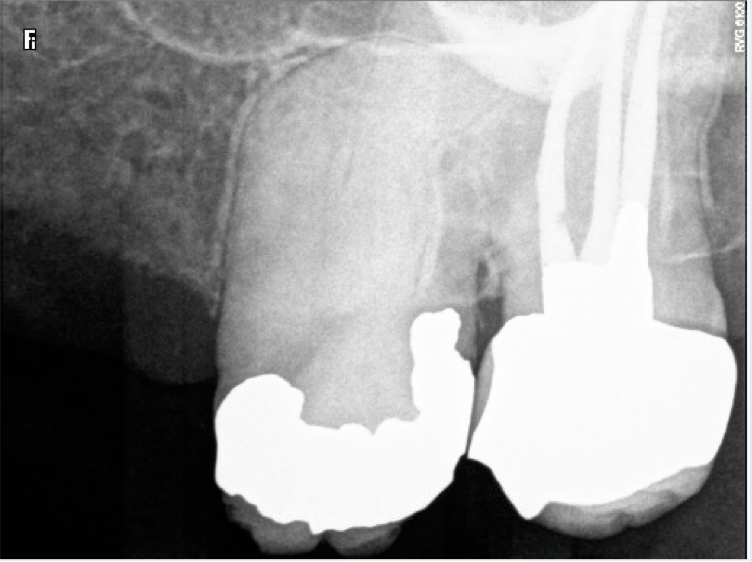 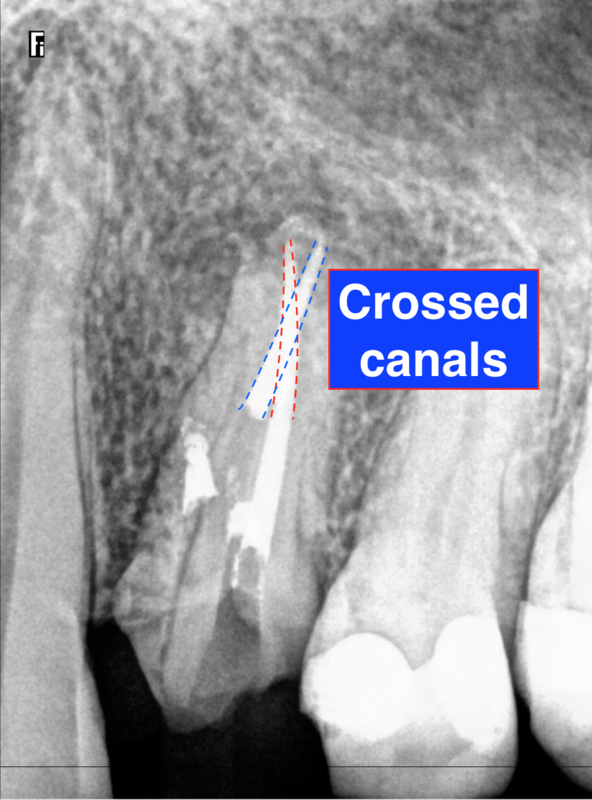 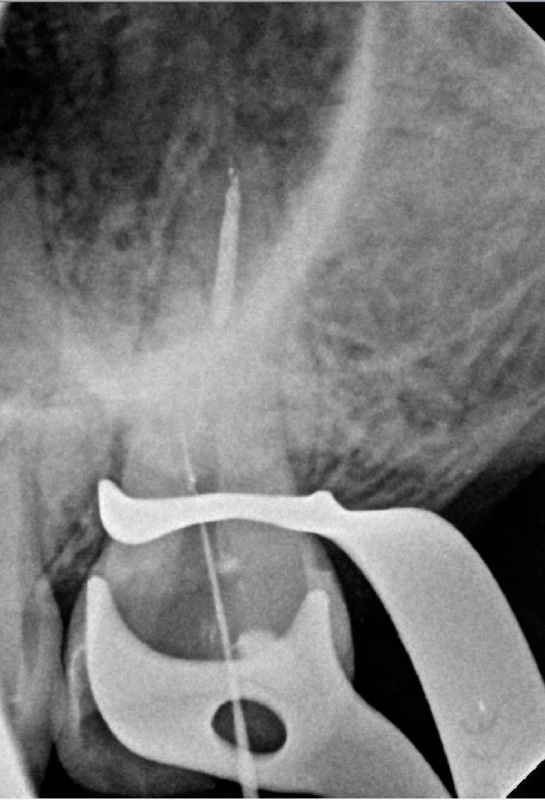 Patient had a fractured cusp and has been referred for a root canal treatment. 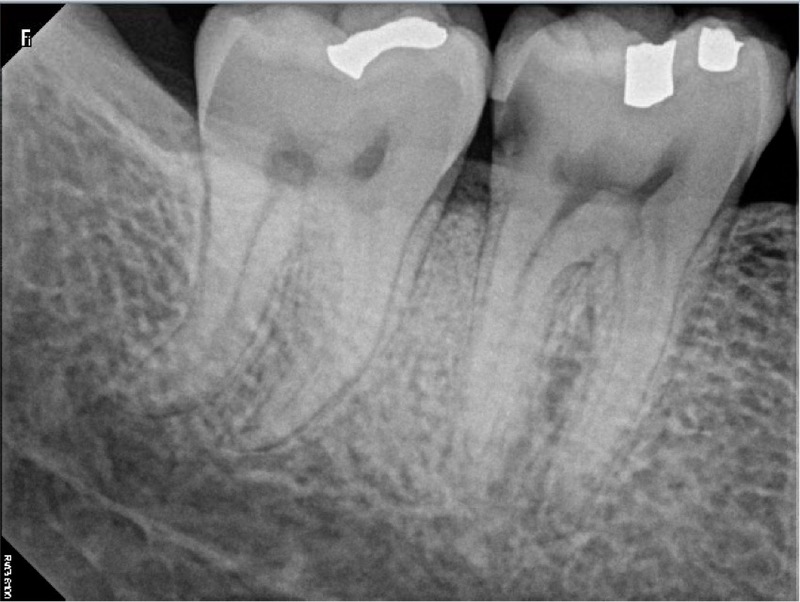 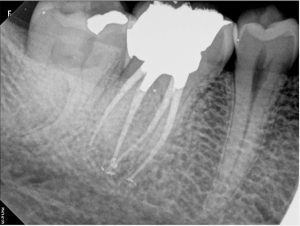 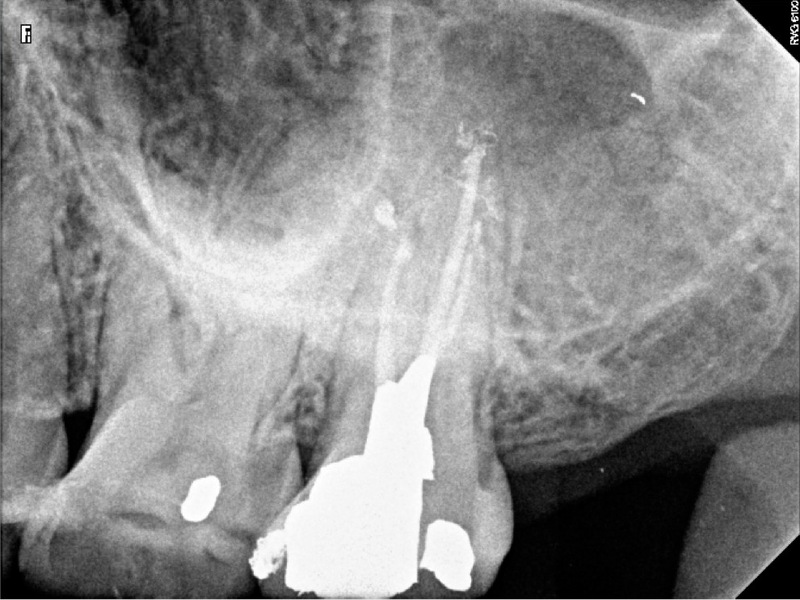 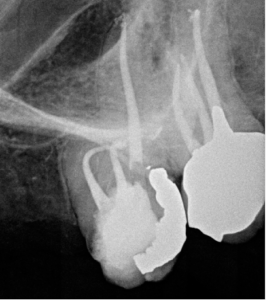 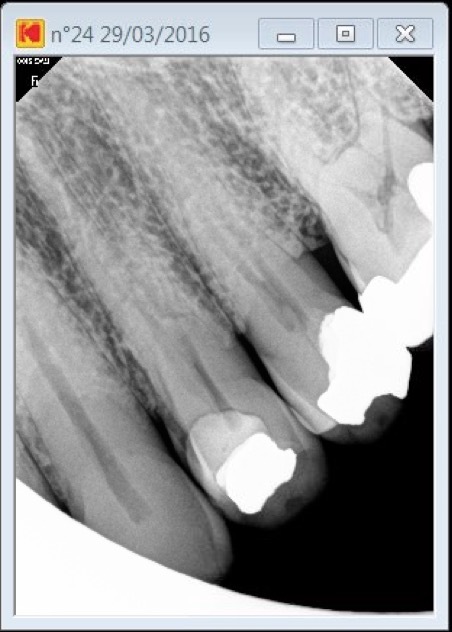 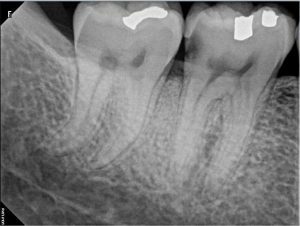 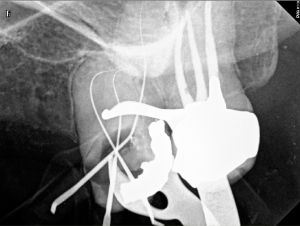 Indistinct root canal path on pre operative Xray did let us suspect an anatomical variation along with calcified canals. Furthermore, a CareStream Kodak 6100 number 2 sensor had to be positioned vertically in order to get the image of this long tooth to its full length. 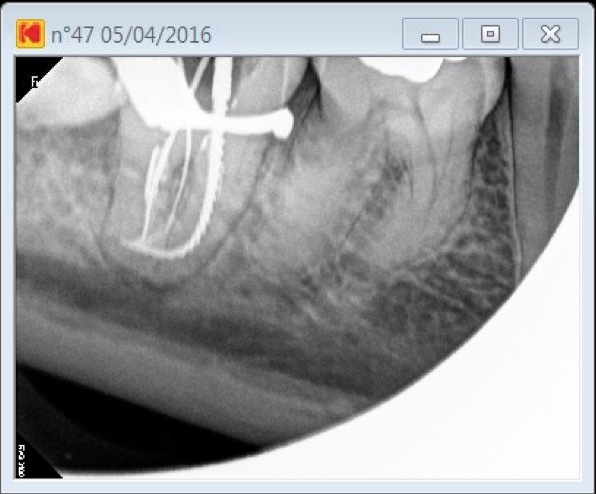 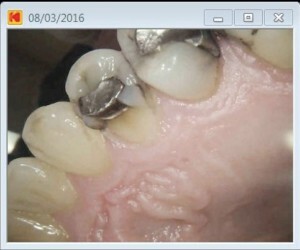 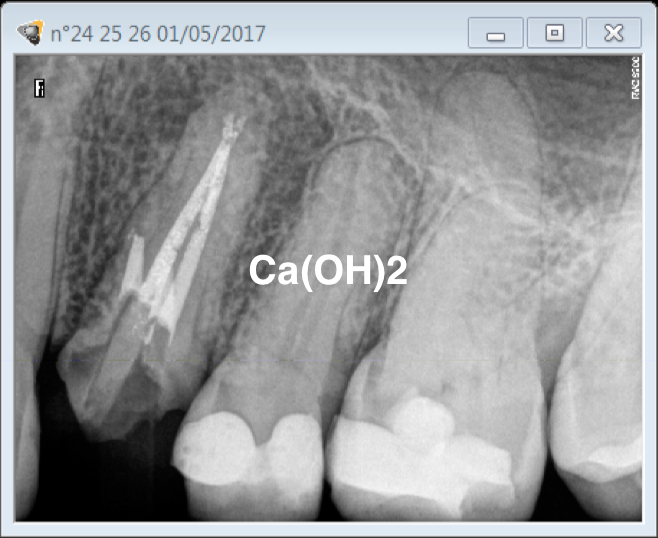 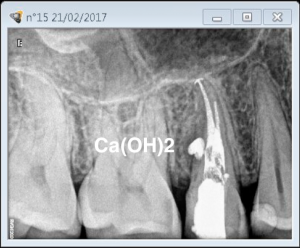 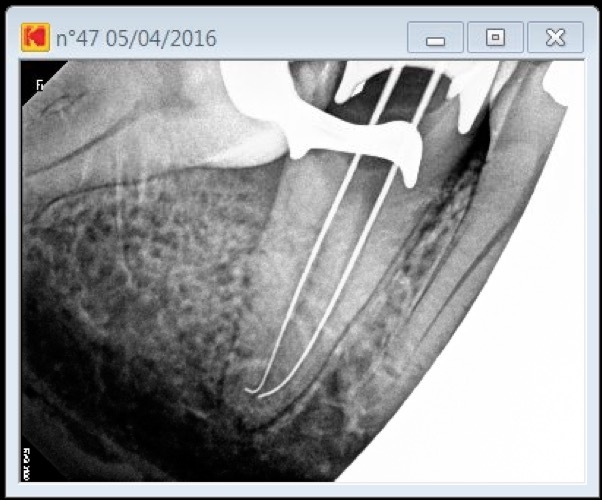 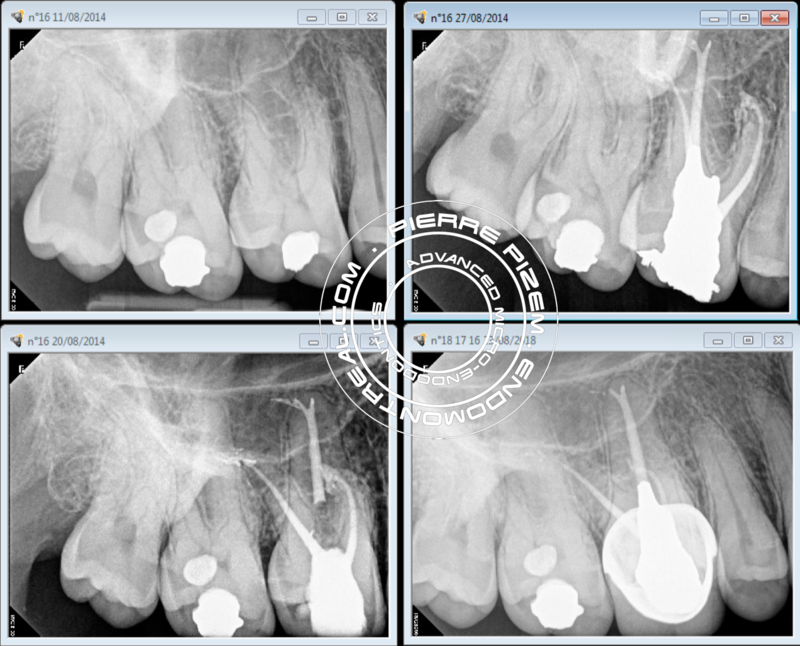 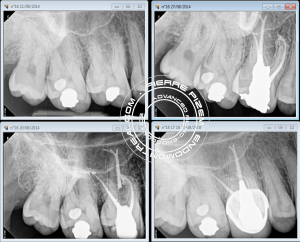 Both location and instrumentation of root canal split on buccal root has been performed with the help of an Opmi Proergo microscope magnification. 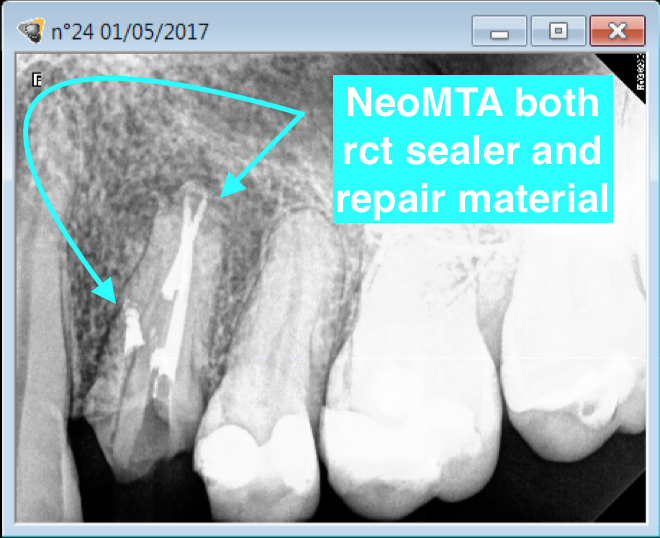 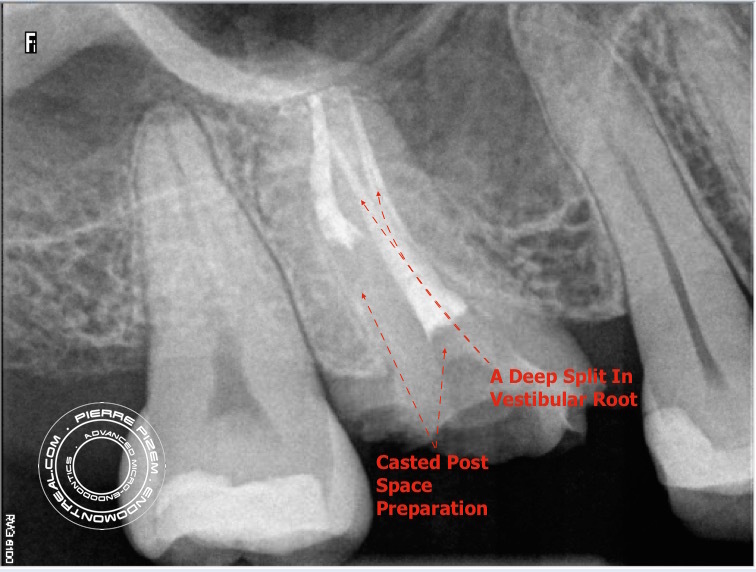 During the same setting a root canal space preparation for a casted post and a provisional crown with anchorage have been performed.